Actos, or pioglitazone, is a type 2 diabetes drug manufactured by Takeda Pharmaceuticals. Available in the U.S. since 1999, the prescription medication enjoyed great success before it was linked to severe side effects, including an increased risk for bladder cancer, congestive heart failure, and bone fractures – complications that were, in some cases, even more life-threatening than the condition Actos is prescribed to treat. As a result, manufacturer Takeda is now embroiled in thousands of lawsuits around the nation, from individual claims to class action lawsuits and federal multidistrict litigation (MDL). The FDA granted approval for Actos (pioglitazone hydrochloride) as a treatment for type 2 diabetes in 1999. The medication is available in three dosages: 15 mg, 30 mg, and 45 mg. For many type 2 diabetics, Actos is prescribed as one facet of their diabetes maintenance, as it may be combined with other common medications, including metformin and insulin. Patients with type 2 diabetes cannot properly regulate blood sugar (glucose) levels. Medication is often the only way that diabetic symptoms can be managed. Actos is a member of the thiazolidinedione (TZD) drug class, which means that it helps make the body more sensitive to available insulin. This in turn helps sugar travel through the body’s cells, and thus normalizes blood glucose levels. Soon after Actos hit the U.S. market, the FDA began receiving reports of severe complications. Serious side effects linked to Actos include bladder cancer, bone fractures, heart failure, macular edema, and lactic acidosis, among other complaints. Congestive heart failure: A study published in The Lancet reveals that high-risk patients taking Actos are at increased risk of heart failure. Later, a post-marketing safety study concluded that almost 10% of all Actos patients reported overnight hospitalization due to congestive heart failure. Bladder cancer: In 2011, the FDA announced results from the first five years of a 10-year Actos safety study. Among other conclusions, the study revealed that patients who took Actos for more than one year or in high doses increased their risk of bladder cancer by 40%. In May 2012, the British Medical Journal published a study that found an increased bladder cancer risk of 83%. Bone fractures: In 2007, the FDA informed the medical community and consumers of the increased risk of limb fractures in patients taking Actos. In 2010, a study published in the Journal of Clinical Endocrinology & Metabolism supported the FDA warning, finding that 70% of bone fracture patients were taking a TZD drug. Scientists cannot yet explain the exact link between Actos and bladder cancer. However, it is believed that since pioglitazone influences DNA transcription and other genetic processes, it may actually cause gene mutation or other genetic defects that increase a person’s risk of bladder cancer. Additionally, some experts hypothesize that toxic waste, which is removed by the kidneys and filtered to the bladder may also be a factor in the likelihood of developing bladder cancer. In 2010, the U.S. Food and Drug Administration (FDA) informed the public that it was investigating the relationship between Actos and bladder cancer. In June 2011, both France and Germany suspended the sales and use of Actos due to risk of health complications. A month after the European Actos recall, in August 2011, the FDA updated its 2010 warning, advising patients and doctors that Actos should not be prescribed to patients with active bladder cancer or a history of bladder cancer. Actos can cause water retention and weight gain, which can put stress on the respiratory system, and especially the heart. In patients at risk for congestive heart failure, or those who have already been diagnosed with the condition, the use of Actos can exacerbate and lead to continued or worsening heart problems. In 2007, the FDA issued a safety communication to inform the public of the newly required black-box warning for Actos. The FDA noted that, “continuation of [Actos use] has been associated with poor outcomes, including death.” Additionally, the regulatory agency advised healthcare professionals to closely observe their patients for any signs or symptoms of heart failure after taking Actos. Patients who have taken Actos for more than 12 months are most likely to experience related bone fractures. Researchers have not yet uncovered the definitive cause of bone fracture in patients taking the medication; however, it is believed that pioglitazone activates the PPAR-gamma receptor in fat cells, which in turn slows new bone structure formation and growth. This may also speed bone failure. A black-box warning is the most stringent warning label the FDA requires for prescription drugs. Black-box warnings are reserved for medications that present a significant possibility of harmful side effects that cause severe, life-threatening complications. By 2007 – eight years after Actos had first hit the U.S. market – several studies and many FDA adverse event reports had linked Actos to congestive heart failure. That year, the FDA ordered Takeda Pharmaceuticals to add a black-box warning to Actos regarding congestive heart failure. As of 2013, the FDA has not yet required that a black-box warning for bladder cancer be added to the Actos label. Thousands of patients have suffered serious side effects after taking Actos – complications they never even knew were possible. 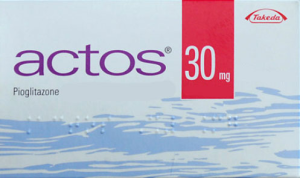 And for most Actos lawsuits, this is the key allegation: Though Takeda Pharmaceuticals knew, or should have known through its research and testing, that the diabetes medication significantly increased the risk of bladder cancer and other serious health complications, the manufacturer failed to warn the medical community and the public. As a result, thousands of patients in the U.S. have developed life-threatening health complications. They have incurred insurmountable medical bills and have had their lives permanently changed. People have lost their lives, and families have lost their loved ones. The resulting Actos lawsuits – which now total more than 3,000 – request compensatory, economic and punitive damages for negligence, failure to warn, pain and suffering, wrongful death, and related allegations. Much of the federally filed litigation against Takeda is currently pending in the U.S. District Court for the Western District of Louisiana (MDL No. 2299). The first of over 2700 MDL cases to go to trial concluded in April 2014 with a headline-grabbing $9 billion jury verdict against Takeda and its U.S.-based partner, Eli Lilly. The jury in this “bellwether” trial also awarded $1.5 million in compensatory damages to plaintiff Terrence Allen, who alleged that 5 years of Actos use caused his bladder cancer, and that Takeda knew of the risks but failed to adequately warn doctors and the public. Lawyers for the plaintiffs presented evidence at trial suggesting that Takeda executives had knowingly destroyed internal documents regarding the development and sales of Actos, which may have shown that the company knew of the drug’s dangers. Takeda’s attorneys insist that “Takeda acted responsibly in regard to Actos,” and promise to appeal the verdict, which ranks as one of the 10th largest in U.S. history. In courts across the country, previous Actos cancer cases have gone to jury trial. In April 2013, plaintiff Jack Cooper was awarded $6.5 million in damages from a California state court jury, though the verdict was thrown out by Judge Kenneth Freeman, who ruled that the plaintiff had not provided adequate evidence that the diabetes drug was the direct cause of his bladder cancer. In September 2013, another Actos verdict—an award of $1.7 million to decedent plaintiff Diep An—was vacated because the Maryland state court jury found that the drug was not the only cause of the plaintiff’s (a long-time cigarette smoker) cancer. According to a peculiarity in Maryland state law, this finding automatically disqualified the verdict. Anyone who believes that he or she, or a loved one, has been injured because of Actos is advised to consult a qualified Actos lawyer to determine eligibility for seeking compensation through litigation.